Polo Ralph Lauren is a pinnacle of fashion and design. 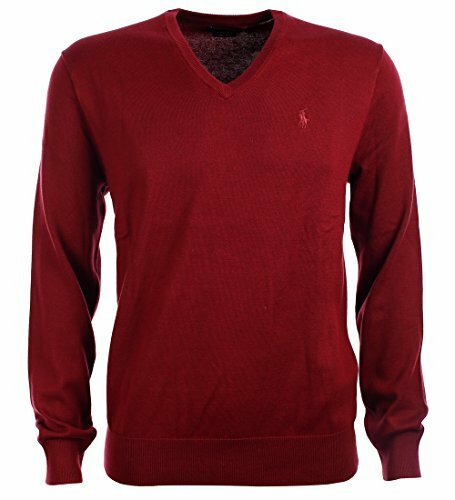 These pima cotton v-neck sweaters are perfect for layering or wearing alone making them a must have for any man's wardrobe. Stay fashionable with Polo Ralph Lauren. If you have any questions about this product by Polo Ralph Lauren, contact us by completing and submitting the form below. If you are looking for a specif part number, please include it with your message.